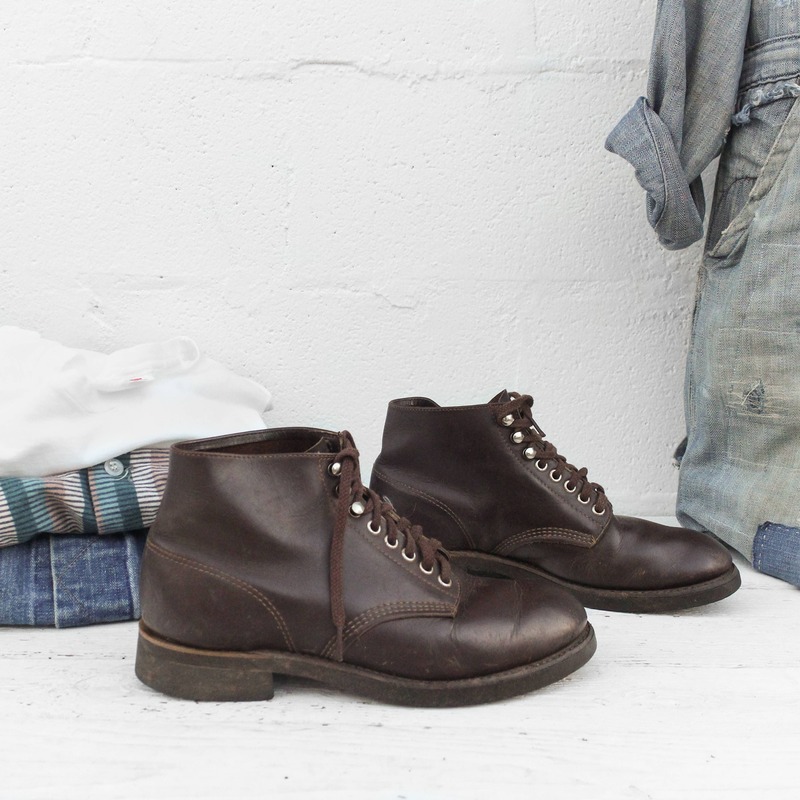 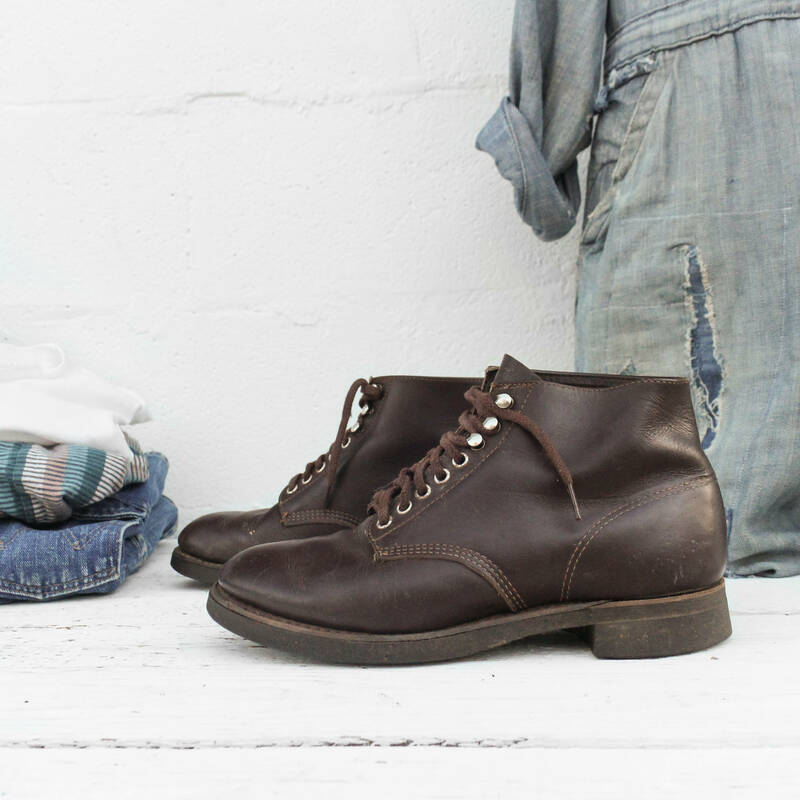 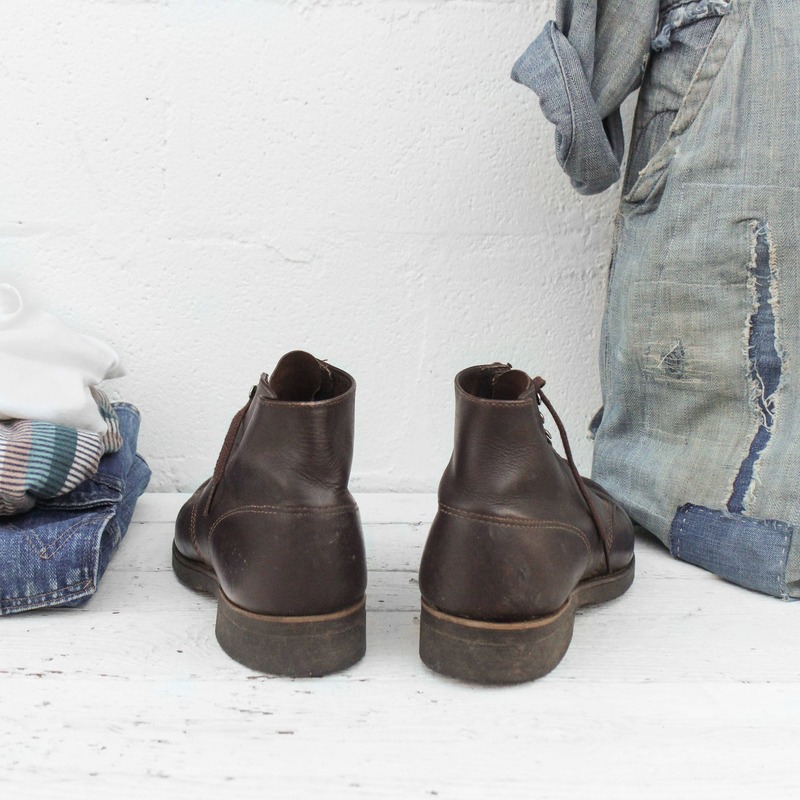 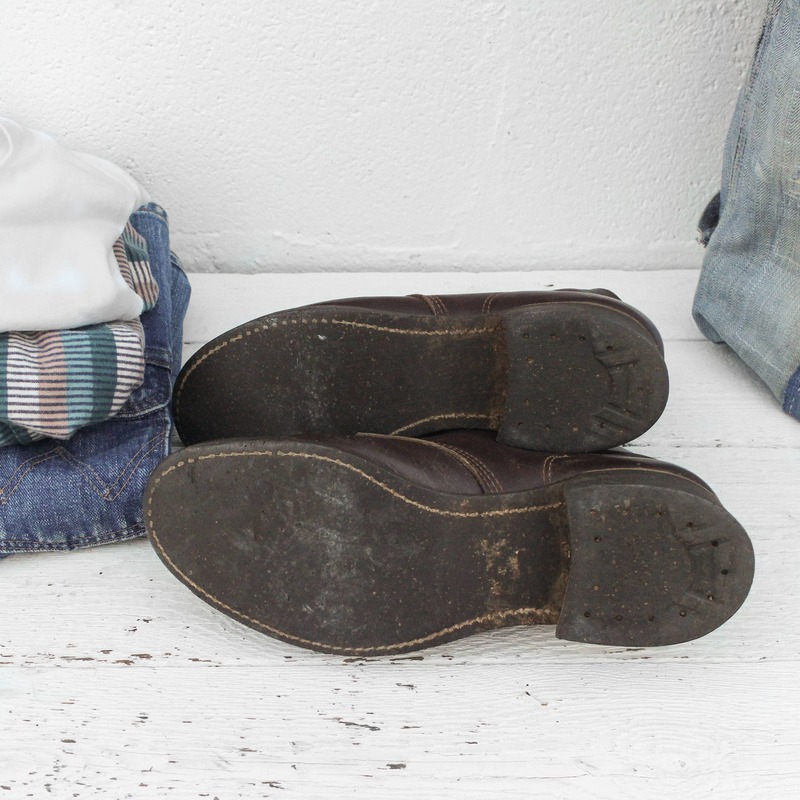 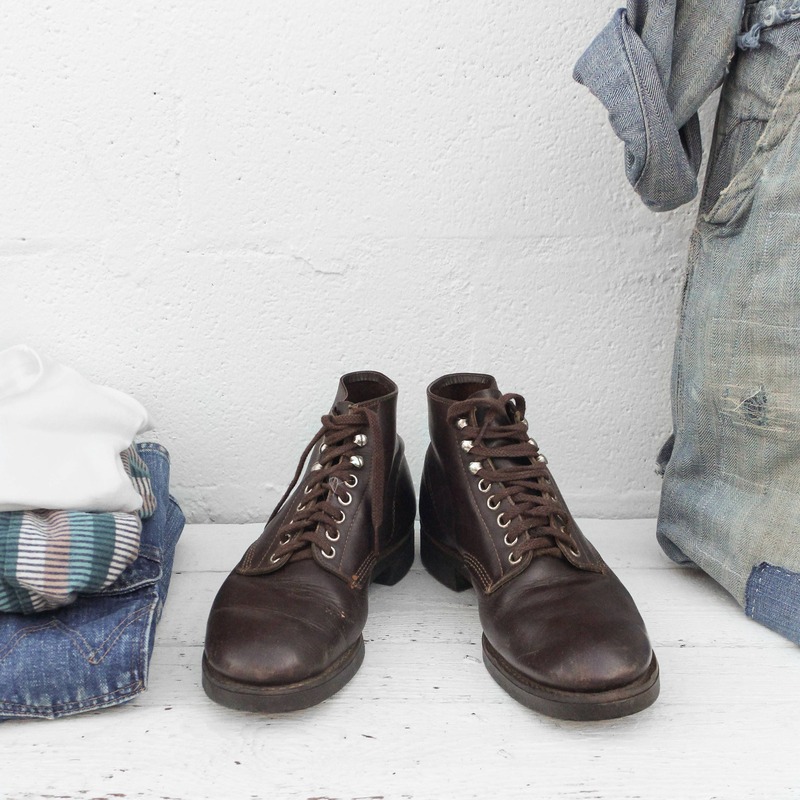 These vintage work boots come in a brown leather and feature cork soles. 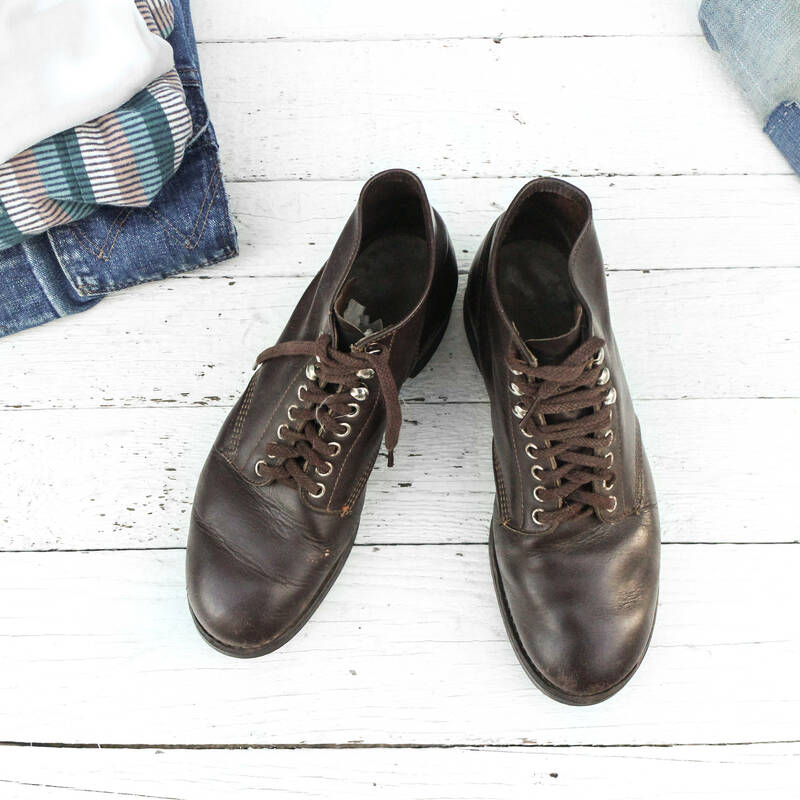 The boots date back to the 1950's and have a steel shank in the insole. 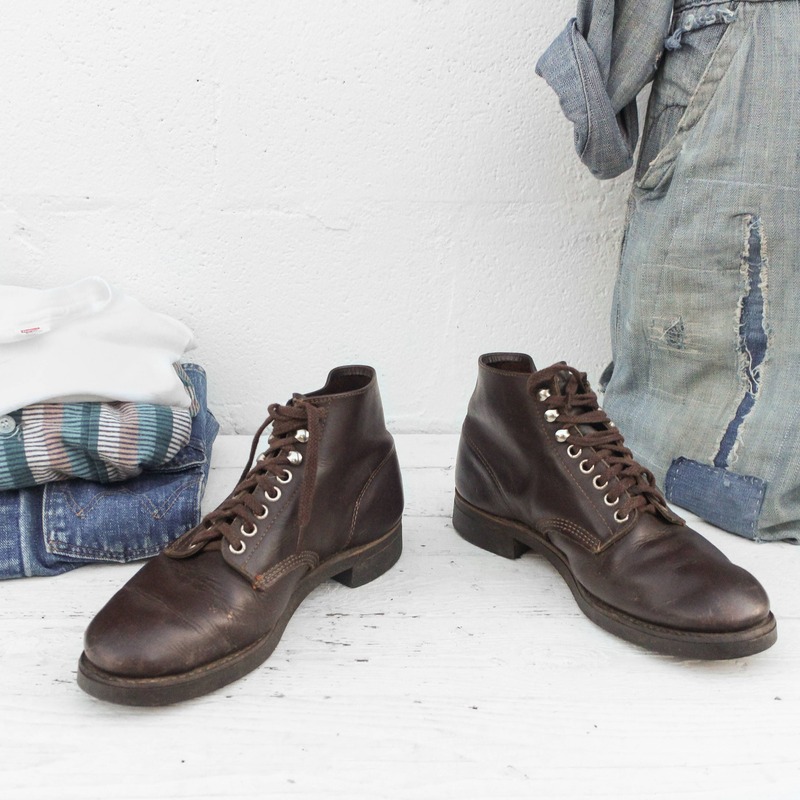 The boots have no marked size so lease check the measurements to check for fit.